The South East Melbourne Manufacturing Alliance (SEMMA) is the peak industry body representing the heartland of Victorian industry; From agriculture and food, to pharmaceutical, chemical and much much more. 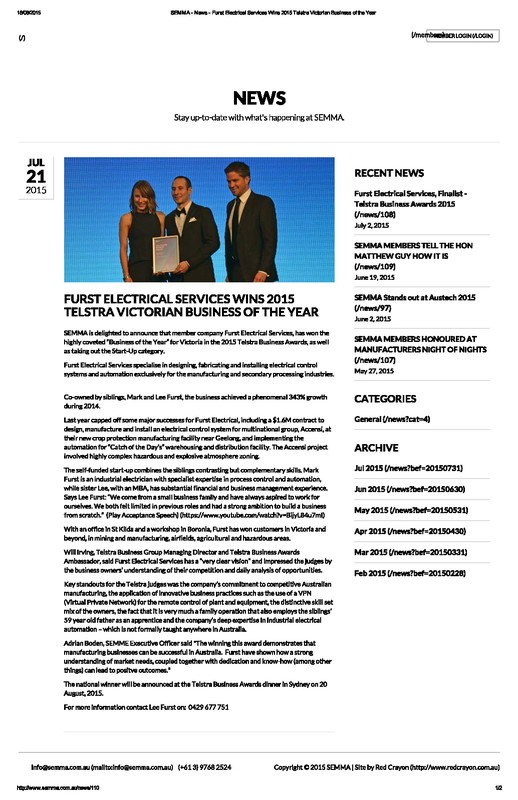 We’re excited SEMMA chose to feature Furst Electrical Services on their home page. You can also find the article on the SEMMA website.